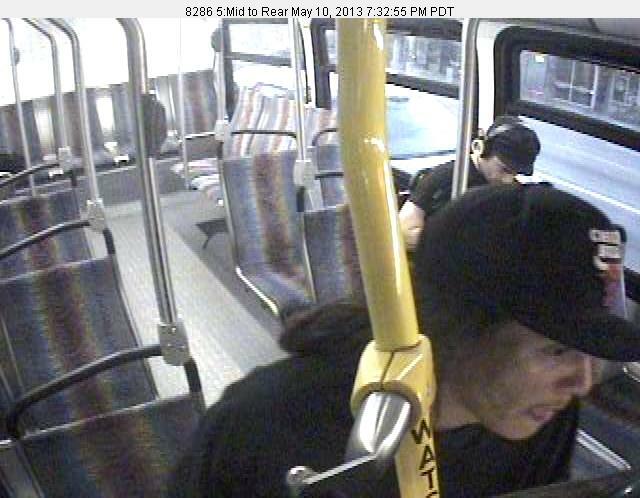 Los Angeles County Supervisor Michael D. Antonovich, Chair of Metro’s Board of Directors today announced a $25,000 reward for information leading to the arrest and conviction of a suspect who recently boarded a Metro bus and assaulted a Metro bus operator causing injuries. 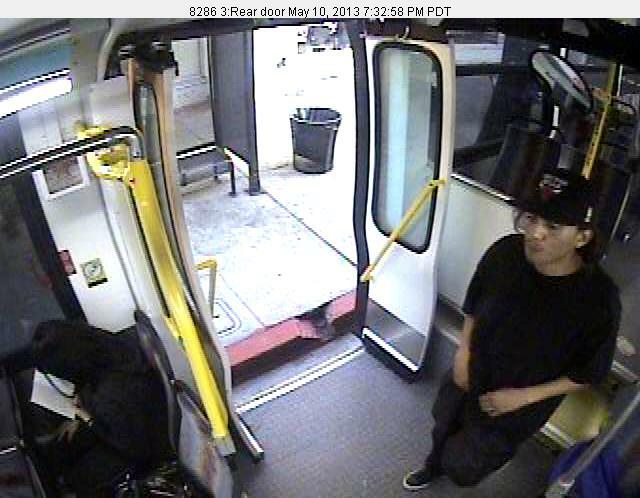 The incident occurred on Friday, May 10 at approximately 7:35 p.m. as the Metro bus was traveling along Ventura Boulevard at Laurel Canyon Boulevard in the San Fernando Valley. The suspect boarded Metro Bus line 150 in Studio City and became angry with the Bus Operator over a fare dispute. The suspect then punched the bus operator in the head knocking him unconscious. The suspect then exits the bus and flees the location in an unknown direction. The suspect is described as a male/Hispanic in his mid-20’s, 5’8’’ to 5’10” in height with a thin build and long shoulder length dark hair in a ponytail. He was last seen wearing a black Chicago Bulls hat, black T-shirt, with black baggy jeans and black shoes with white soles. The Metro bus operator, a six-year veteran of the Los Angeles County Metropolitan Transportation Authority (Metro), suffered injuries to his head and was transported to Sherman Oaks Hospital where he was treated and later released. He remains off duty due to his injuries and emotional trauma suffered as a result of the attack. Anyone with information regarding this crime on board a Metro bus should contact the Los Angeles Sherriff’s Transit Services Bureau, and speak with Detective James Eggers at (213) 922-3625. Reward funding is made possible by the Los Angeles County Metropolitan Transportation Authority. What an outrage! I hope this loser is caught and prosecuted to the fullest extent of the law! I am kind of surprised this did not happen on a line in the south bay region. There are so many violent incidents on trains and buses that are never reported. The Blue Line, in particular, is outrageously dangerous. That’s news to me about incidents not being reported. Metro does keep tabs and we occasionally post crime stats. I don’t believe those stats show that the Blue Line is “outrageously dangerous,” although that’s up to each person. im a bus driver and the blue line it is dangerous…. and south central line 40 and 210 are the worst … because the area and people that board those buses, we need more protection…. Thank you Herrara4ever. I retired some time ago from Metro, working many years on rail. To deny things happen is just that, denial. The Blue Line, and all lines, are great and necessary. That said, us ‘regular folk,’ in my opinion, are left out of the safety equation. Such is the Metro monster. Hopefully, things get better and safer, as SoCal residents need, and deserve, a safe ride to their destination. Crooks hate a federal offense since they know there is no time off for good behavior and absolutely no parole exists in the federal system. You get ten years, you serve ten years. Fortunately, this driver’s injuries were not serious and instead the state will prosecute. If they catch him.